The day Mega Fans have been waiting for so long isn’t far away. 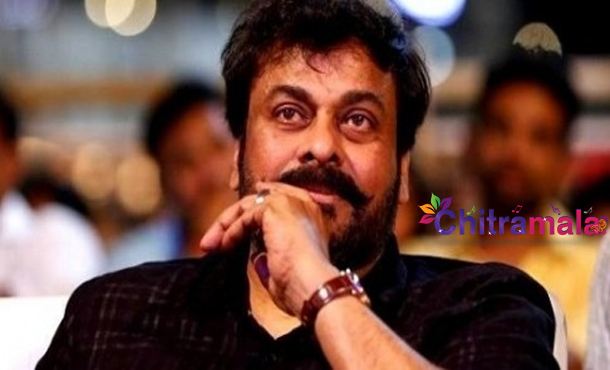 Yes, Chiranjeevi is likely to join the shoot of his 150th flick in this month itself. All the arrangements for Megastar Chiranjeevi much anticipated 150th movie have been made for taking the film on the floors. To be directed by V.V. Vinayak, the film is the official Telugu remake of Tamil blockbuster ‘Kaththi’ and is titled “Kathilantodu.” This film boasts of high profile technicians like Devi Sri Prasad for music and Rathnavelu for cinematography. Ram Charan himself will be producing the movie under his newly floated banner Konidela Productions. In ‘Kathilantodu’, Chiranjeevi will be seen in a dual role, one of a street smart thief and the other as a soft-spoken village activist. After such a long wait, the film is all set to go to the sets from June 20 at Ramoji Film City, For one of the roles, He will be shooting few scenes in Prisoner get up. VV Vinayak wants to start the shoot of this landmark flick with the Jail scenes. Even these portions will appear in the very 1st reel in the movie. A huge prison set is being constructed under the supervision of National Award winning art director Thota Tharani. Tamil Kaththi was a huge blockbuster, and it paved a way for Mega fans hoping for a similar fate even for the Telugu remake. Although Makers want to release the film for Sankranthi next year, Wrapping up the shoot of a high budgeted flick within six months is almost impossible. Recently Chiranjeevi’s sizzling performance, in the CineMAA Awards, has brought in that appeal and hysteria back. This is the Hot topic in the Tollywood, and Mega Star is back in the form again.